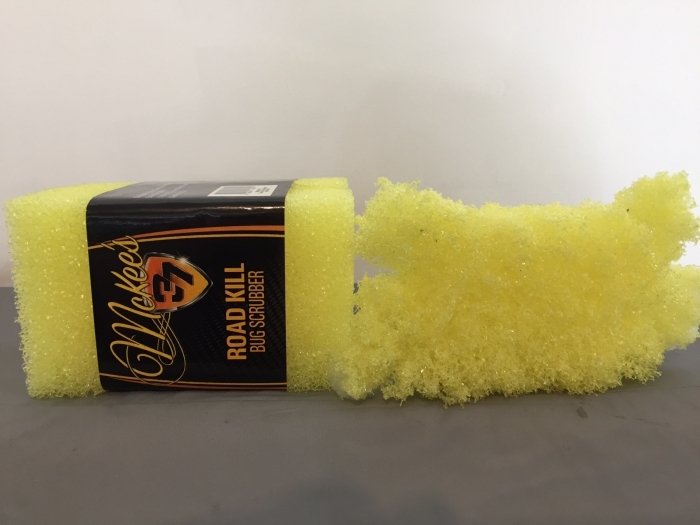 The honey-comb design of the McKee's 37 Road Kill Bug Scrubber traps bugs and foreign particles as it removes them from your paint, ensuring the surface doesn’t get scratched. Dirt and grime is easily removed from the sponge, making it reusable hundreds or even thousands of times! The McKee's 37 Road Kill Bug Scrubber is so effective in its design and construction, you’ll wonder why it doesn’t cost more than $10! Make sure to Pre-Soak in wash Bucket for 5 minutes! ConsCan't just grab and use! Needs 5 minute Persian to soften or you will scratch vehicle! I have struggled with bugs on the front of my RV, and these sponges along with the bug remover just work, what more could you ask. Bugs don't stand a chance! The best bug scrubber I've used in a long time...soak it good before using..
.won't scratch your paint. Also good to remove tar and other grimy road dirt. 100% satisfied. Key is let it get wet before use--preferably in warm/hot water. I use this on glass and it just erases bugs. I also use on headlamp lenses and painted surfaces, but every so gently; let the sponge do the work. I do not use this on clear bras, not sure if it will scratch. These USA made sponges are great and hold up. I recently replaced one that was maybe 2 years old and falling apart. This is now my "go to" sponge for removing bugs and tar. Combine this with the McKee's 37 Bug and Tar Remover and you'll never look back. ProsHolds up well and gets all the bug and tar grime off. ConsSplitting hairs here, but when the sponge starts to break down, little yellow pieces will find their way into your bucket, other sponges, and on the car. Not a huge deal, just means the sponge is starting become worn out. 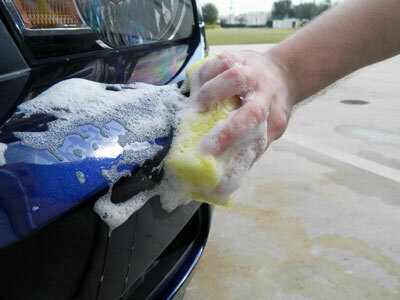 These sponges work very well when they wet with car wash incorporated with road kill bug remover.